Bidding in the US’s first auction of high-band 5G spectrum has started, allowing mobile operators in the country to get their hands on airwaves to support mobile broadband services. Verizon launched the world’s first commercial 5G network last month, offering Fixed Wireless Access (FWA) broadband on mmWave spectrum to a number of major cities. Rivals AT&T, Sprint and T-Mobile also have plans in the work. 5G networks will use multiple spectrum bands, each of which offers different characteristics to support various applications. 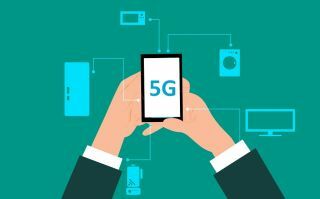 Aside from faster mobile broadband services, 5G will power new use cases such as the Industrial Internet of Things (IIoT) and connected cars. Whereas mmWave bands offer high capacity and speeds over shorter distances, they are incapable of providing widespread coverage. In the UK, Ofcom has sold 3.4GHz airwaves, while there plans in the works for a 700MHz auction, whereas other countries have sold a mix of mid and high range spectrum. The Federal Communications Commission (FCC) is making 1.55GHz worth of 24GHz and 28GHz spectrum available in this auction and has plans to release more mmWave bandwidth in a sale of 37GHz, 39GHz and 47GHz in 2019. The US is hoping to maintain its early leadership in 5G when the first compatible handsets are made available early next year. “5G is about our economic leadership for the next decade and, with today’s auction, the FCC takes another solid step forward in winning the global race to 5G,” said Brendan Carr, a commissioner at the FCC.